The incidence of nephrolithiasis (kidney stones) is rising worldwide, especially in women and with increasing age. Kidney stones are associated with chronic kidney disease. Preventing recurrence is largely specific to the type of stone (e.g., calcium oxalate, calcium phosphate, cystine, struvite [magnesium ammonium phosphate]), and uric acid stones); however, even when the stone cannot be retrieved, urine pH and 24-hour urine assessment provide information about stone-forming factors that can guide prevention. Medications, such as protease inhibitors, antibiotics, and some diuretics, increase the risk of some types of kidney stones, and patients should be counseled about the risks of using these medications. 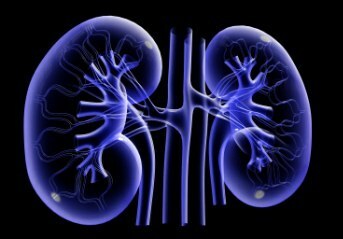 Managing diet, medication use, and nutrient intake can help prevent the formation of kidney stones. Obesity increases the risk of kidney stones. However, weight loss could undermine prevention of kidney stones if associated with a high animal protein intake, laxative abuse, rapid loss of lean tissue, or poor hydration. For prevention of calcium oxalate, cystine, and uric acid stones, urine should be alkalinized by eating a diet high in fruits and vegetables, taking supplemental or prescription citrate, or drinking alkaline mineral waters. For prevention of calcium phosphate and struvite stones, urine should be acidified; cranberry juice or betaine can lower urine pH. Antispasmodic medications, ureteroscopy, and metabolic testing are increasingly being used to augment fluid and pain medications in the acute management of kidney stones.